"The world is lucky to have people like you and your band of helpers to save these wonderful Trumpeters, who I am sure would have been lost forever without your help and support." 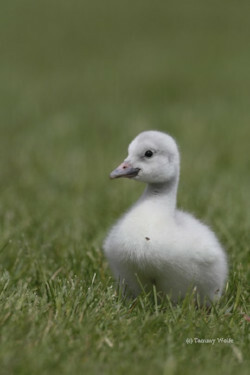 David G.
Your gift to The Trumpeter Swan Society will secure their future. You can help safeguard the flock by planning for their secure future. With your help, The Trumpeter Swan Society has worked tirelessly for decades to restore and safeguard the future of Trumpeter Swans, once on the brink of extinction. Planning for a future gift now that continues your values will have a lasting impact and make a difference to generations to come. As a charitable organization, TTSS is prohibited from giving tax or legal advice. For more information, contact Margaret Smith, Executive Director, at 715-441-1994 or email at ttss@trumpeterswansociety.org. If you are 70 ½ years of age or older, you can make a tax-free gift from your eligible IRA today. This generous, tax-smart gift will help you make the most of your legacy while supporting The Trumpeter Swan Society now. With a gift in your will, you can support a cause that has been important in your life. You can make a lasting impact on the future of what you value today. If you decide to make a gift to TTSS in your will, you should discuss it with your attorney since there are several types of bequests. We hope you will let us know if you have included TTSS in your will so that we can recognize you as a member of "The Trumpeter Swan Legacy Supporters". If you prefer to remain anonymous, your gift will be kept confidential, but recognition of your gift can encourage others to do the same. Your preference will be honored. We deeply appreciate your support. "I hereby give, devise and bequeath to The Trumpeter Swan Society, a Minnesota non-profit corporation with its principal office at 12615 Rockford Road, Plymouth, MN 55441-1248, the sum of ___________________(or a specific asset / or # of shares, or % of estate) to be used for its unrestricted use and purpose." The Society's federal tax-identification number is 23-7220654. You can stipulate a gift of a specific dollar amount, or property such as stock, to be donated to The Trumpeter Swan Society, or you can select a percentage of the value of your estate be given. 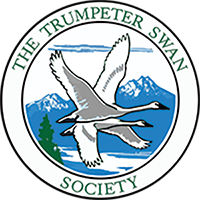 You can also name The Trumpeter Swan Society as a beneficiary of your life insurance policy and secure the long term future of Trumpeter Swans. Consider naming The Trumpeter Swan Society as a beneficiary of your IRA or pension plan. Retirement plans may be subject to estate taxes after death and income tax as the funds are received by a beneficiary, diminishing the ultimate value of the account. By naming The Trumpeter Swan Society as a beneficiary, both of these taxes may be avoided, allowing you to leave your family other assets, which may incur less tax liability.